One of the very few bands who can stand up to the soul-searing opulence of OPETH, Norwegian black-prog maestros ENSLAVED have been on a roll as far back as their 2003 masterpiece, "Below the Lights". While 2005's equally brilliant "Isa" exposed ENSLAVED to a much broader audience, it was "Vertebrae" and 2010's "Axioma Ethica Odini" where the band reached its fullest stretches of excellence. ENSLAVED may not be championed as often as they should, but their latest offering, "RIITIIR" is yet another example of why they rate amongst the best the genre has to offer. Like OPETH, ENSLAVED has pushed the binding agents of black metal, Viking-folk metal and progressive rock to beguiling summits. ENSLAVED on their older works "Eld", "Blodhemn", "Frost" and "Vikingligr Veldi" were far more extreme they hardly ring like the same band now. Although Grutle Kjellson's prominent barks and squelches this time around feels like a weird, wicked penance for the ear-pleasing cleans of his cohort, Herbrand Larsen. As OPETH turned a few heads last year with their slower, stripped and prog-kissed "Heritage", ENSLAVED takes cue in similar fashion, save for the stripped element. If anything, ENSLAVED has proven themselves as one of the most intricate metal bands on the planet and the slower strides of "RIITIIR" may annoy their long-timers, yet the strategy permits for even more grandiosity than ENSLAVED have attempted before. The songs on "RIITIIR" are longer as they are slower (the shortest song being the title track at 5:26), but by no means are they less dramatic. "Axioma Ethica Odini" was devastating how much detail ENSLAVED could convey in speed mode. 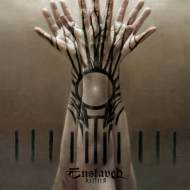 On "RIITIIR", ENSLAVED keeps their burners on low and they let their compositions cook at a methodic pace. Ironically, this simmering motif creates almost as much sophisticated theatricality as "Isa" and to some latitudes, "Ruun". The opening number, "Thoughts Like Hammers", just short of ten minutes, moves like it's pushing through mud for some of the way, yet it does so with layered grace and whispers of suspense culminating in more aggressive rhythms as the song unfurls. Grutle Kjellson coaxes wads of phlegm out of his esophagus while the band counters him with mitigated bars of elegance. By the time Herbrand Larsen accompanies the slender pick-up in tempo with his gorgeous tenors, you can expect Kjellson to cram down his charismatic fragility with sheer brutality. This can be vexing depending on your preference between clean versus hard vocals. However, there are a couple of spots in "Veilburner" where Kjellson and Larsen merge to the point of poignancy. 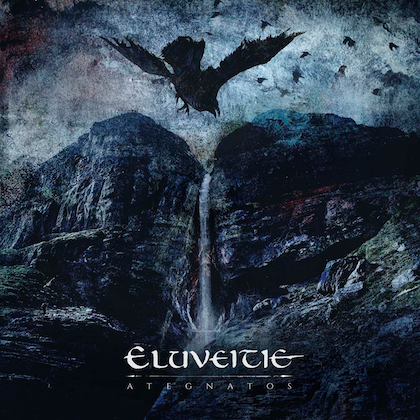 Other songs on "RIITIIR" are sculpted in similar fashion such as "Death in the Eyes of Dawn", "Roots of the Mountain" and of course, "Veilburner". The vast sound spaces ENSLAVED creates with these extensive compositions are meant to induce an uneasy crux of tranquility, knowing there'll be Kjellson's blackened chars to contend with. "Materal" is brute ugly for much of the ride, yet somehow ENSLAVED rescues the song from going too far in the mire. 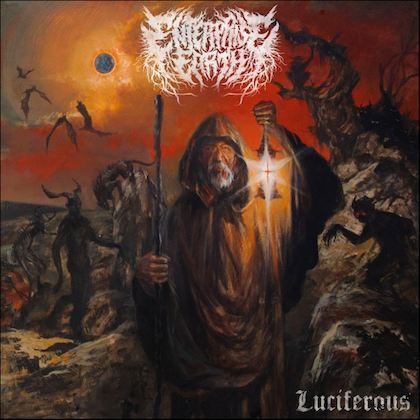 Seldom will you hear a band swerve through dastardly and virtuous segments with such deftness. 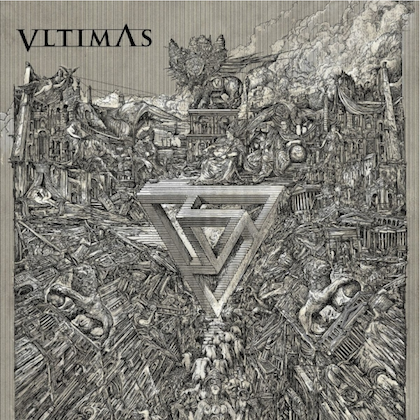 Even the blast beat portions manifesting on the lavish "Roots of the Mountain" and in the later parts of the album carry a polyrhythmic, unhurried trudge to them. Albeit, "Roots" has more than a handful of textured signature changes, as gracefully written as ENSLAVED's hallmark epic "Neogenesis" from "Isa". A ferocious grind section erupts out of the bass-laden chugs presiding over the opening section of "Storm of Memories", and still the plugged-in mayhem refuses to waver from the song's even-tempered flow. Anywhere ENSLAVED steps up the velocity on "RIITIIR", you can expect an immediate ebbing effect, but never to the point of lethargy. Caveat, it does take some getting used to if you've been listening to these guys for a long time. One of "RIITIIR"'s many highlights is the trippy Mellotron interpolating the final track, "Forsaken". As if the Faustian piano lines in the intro and outro weren't exotic enough, "Forsaken" goes to the edge with a stepped-up rock out segment following the brusque bellowing of Kjellson overtop some synthesized histrionics. We also get one of "RIITIIR"'s few moments of genuine thrash before the Mellotron takes precedence alongside a claustrophobic synth sweep and then a stretched-out, crashing climax. You're hardly done at this point, so dial in for the home stretch. For some listeners, "RIITIIR" may present a challenge as ENSLAVED leaves no detail unattended. Ivar Bjornson's solos are tantalizing as ever, yet the soft-laced progressions spread throughout "Riitiir" are meant to induce a more placid approach to his delivery. He and ENSLAVED take many chances on this album and the payouts are regularly brilliant. Just shy of impeccable, "RIITIIR" is the construct of compulsive perfectionists who ask a lot from their audience. The 67 minutes required to consume "RIITIIR" are hardly enough since there is so much ENSLAVED have to give here. Slowing the pace down, at least for one album, turns out to be a savvy gamble from one of metal's true trailblazers.